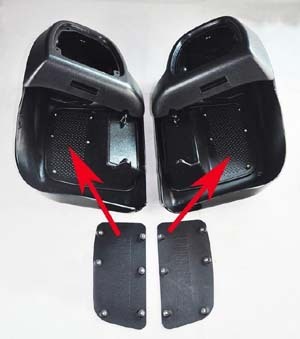 Aftermarkt Fairing Lowers: Sit back and enjoy the ride. 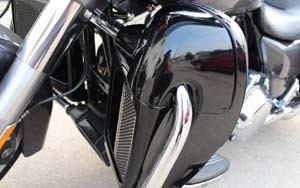 Aftermarket custom designed Fairing Lowers for Harley Davidson Electra Glides, Street Glide, Road Kings (FLH) and Road Glides (FLT) Touring Models allow you to cruise in style and comfort. Manufactured out of ABS plastic. 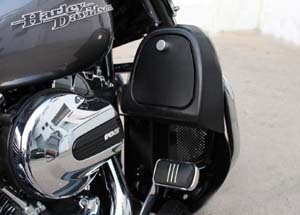 Ride in comfort by opening the vents. 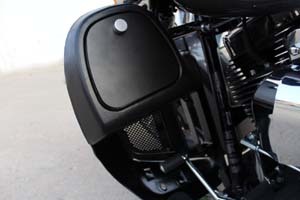 Includes glove box with snap to close flap door. 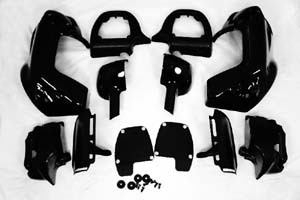 Brand new ABS plastic lower fairing set in gloss vivid black, matte black. 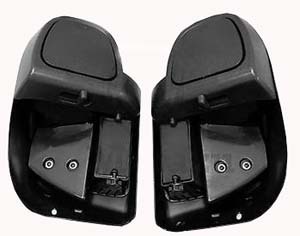 If you like to paint them to match the color, great, the vivid black color can be used as the primer, and seals out all the uneven and the rough area. No need to sand, prep. and primer vs. the unpainted one. Assembly will be required (assembly hardware is included). 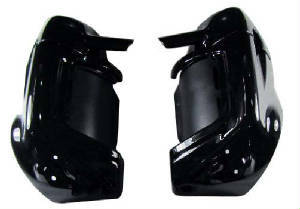 ALM-VRO: A pair of brand new OEM Styled Glossy Vivid Black pre assembled lower vented fairings. 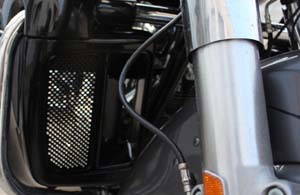 Fits all: 2014 & newer TOURING MODELS with the OEM Touring Engine Guard. 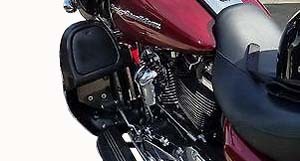 ALM-VR: Even more venting for your non-water cooled, air cooled Project Rushmore bikes model year 2014+. Open/closeable door and panel which can be switched out for more cooling on those hot summer days. 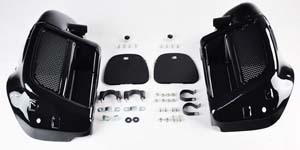 ALM-V: Mounting hardware not included and can be purchased separately. 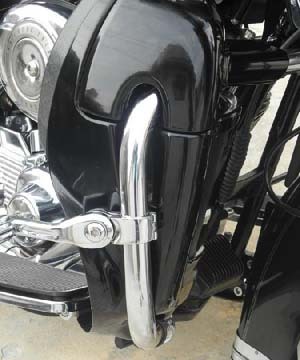 Fits 1983-2013 Harley touring models FLT, FLHT, FLHTCU, FLHRC, Road King, Street Glide, Electra Glide, Ultra-Classic, Road Glide (except 98-09 FLTR) with stock crash bar. 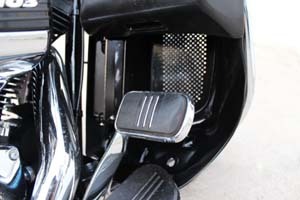 Also fits 1998-2009 FLTR by cutting off 2-1/2" the upper cap cover to clear the upper fairing bracket. Will not fit with Mustache Engine Guard.